A. Help is here, Claire! Two weeks ago, our product development team made some updates to TalkPath Therapy. You can learn more about those updates in this blog post, which was featured in last month's newsletter. After the app was updated, we began receiving feedback from users saying the app was not loading on their iPads®, and they saw a white, blank screen each time they opened the app. After doing some digging, our product development team was able to locate the cause of the glitch and released an updated version of the app with the glitch fixed. 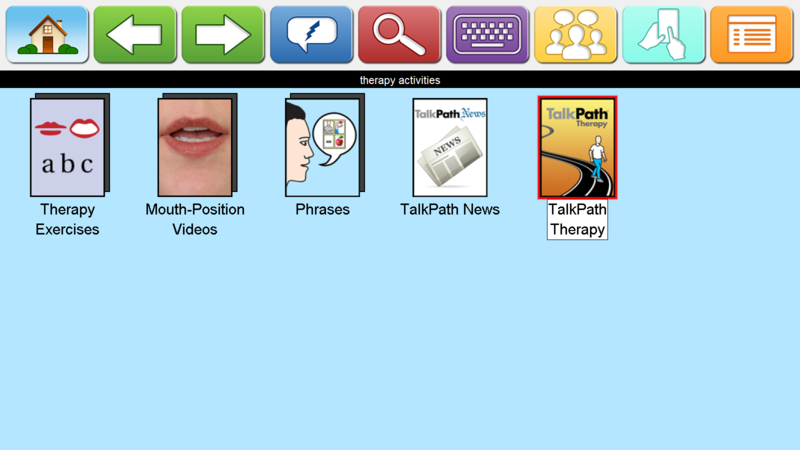 Anyone who already has TalkPath Therapy downloaded to their iPad should be able to access it now with the new updates. 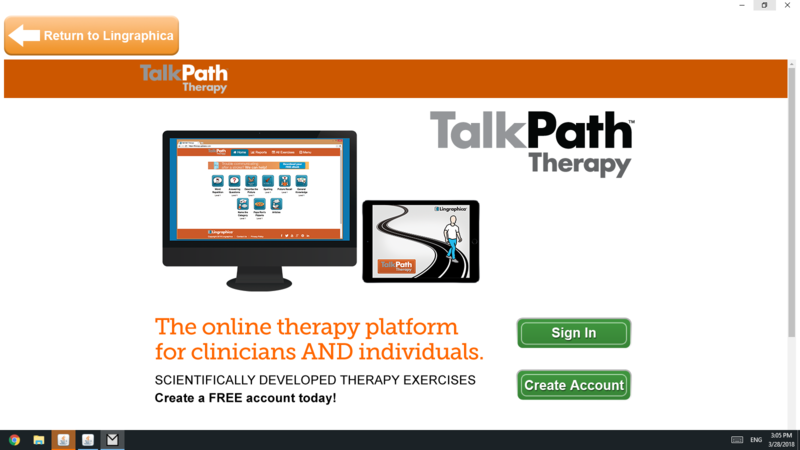 For anyone who would like to download the new version of TalkPath Therapy, click here! A. Thanks for the question Dorothy. I have good news for you! All of our AllTalk communication devices come equipped with TalkPath Therapy, so you already have access to the updated version. Below are three simple steps, showing how to access TalkPath Therapy on an AllTalk. Be sure your AllTalk is connected to the internet before you try to access TalkPath Therapy, or it will not work. 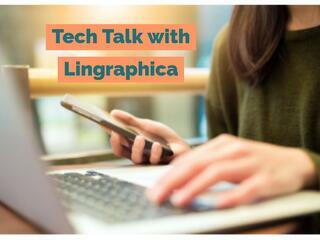 If you run into any issues, our technical support team will be more than happy to assist you. You can reach them by calling 888-274-2742 and asking for technical support. Step 1: Select the icon on your home page labeled "therapy activities". 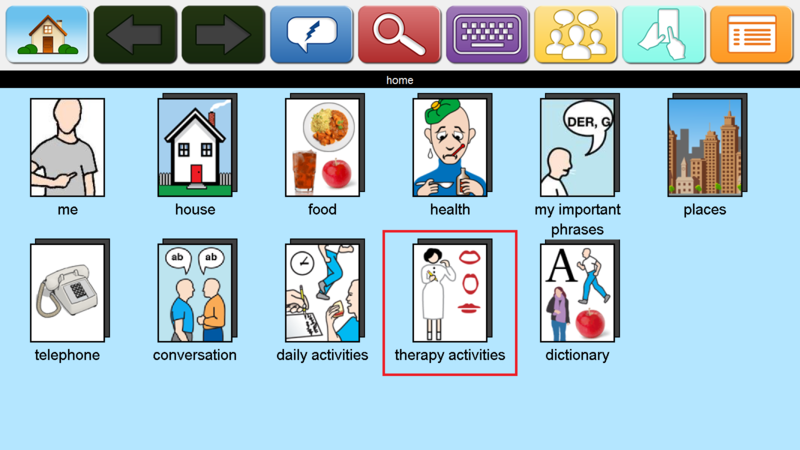 Step 2: Select the icon labeled "TalkPath Therapy". A. Hi, Clint. I'm very sorry to hear about your wife. We do have a few resources that could potentially help her with communication. First, we have an entire page of our website dedicated to providing information about verbal apraxia. If your wife has an iPhone® or iPad®, then our free communication apps would be the perfect resource to help your wife communicate. TalkPath Therapy would also be a great practice tool, where your wife can practice her speech from the comfort of home. Lastly, you could also have her trial our communication devices for free and see if one of them would be a good fit for her. Have an additional question other than the ones listed above? Fill out the form below and we'll answer your question as soon as we can. We'll also post our answer to your question in a future blog post!